Sometimes, borehole water supplies, spring water supplies and mains water supplies aren’t available on a site. There is literally no source of water available, other than rainfall. However, water may still be required. In these circumstances, the only option is rainwater harvesting. All water sources are essentially rainwater derived, as part of the hydrological cycle. However, rainwater harvesting is the direct collection of rainwater, as opposed to allowing that rainfall to collect in larger systems (reservoirs, aquifers and rivers) before it is treated and used. The problem with collecting rainwater in this way is that rainfall is unpredictable, and as a consequence, unless storage systems are extremely large (as in aquifers or reservoirs) there is a high risk of the storage running dry if no rainfall occurs for a period of time. To put this in to context, let’s consider a standard household with four occupants, containing all of the modern water consuming infrastructures that modern houses have: On average, a person per day will use 150 litres of water. So that’s 600 litres per day for the household. If we get a full month of dry weather with intermittent rain (such as May or June) then that is 600 litres by 30 days, giving a consumption figure of 18,000 litres or 18m3. It would be even more if it was a dry summer. 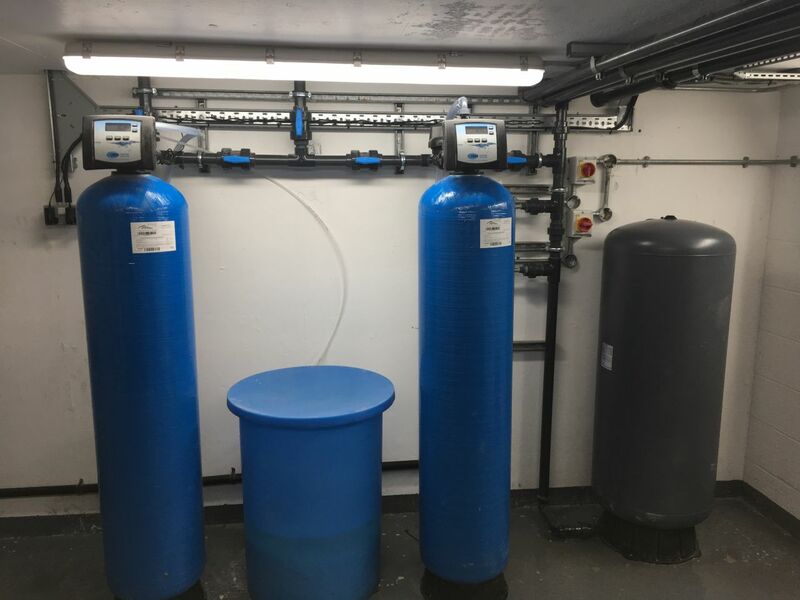 That volume of water can be stored, but it is a very large tank and most standard households simply can’t accommodate a water storage tank of that size to last those dry periods. So, reliance is made on reservoir or aquifer supplies which are much greater in scale and often incomprehensible in their scale as part of the overall hydrological cycle. In those circumstances where facilities are sufficient to store large volumes of water within rainwater harvesting systems (so that periods of low rainfall can be accommodated), there can be problems with water quality. Typically, rainwater is young and has passed, or is passing through, the hydrological cycle. Therefore, it isn’t stuck in the system, and it often has a low mineral content. However, it is often acidic, picking up acidity in the atmosphere (we have all heard of acid rain), and consequently unsuitable for drinking purposes, as well as affecting the infrastructure, which will become corroded by acidic water. Furthermore, storing water (and with particular reference to large volumes of water) allows for the stagnation of water; which can become a breeding ground for bacteria, allowing sediment to collect, and the water to generally become unpleasant. Water treatment of these systems therefore becomes very important. 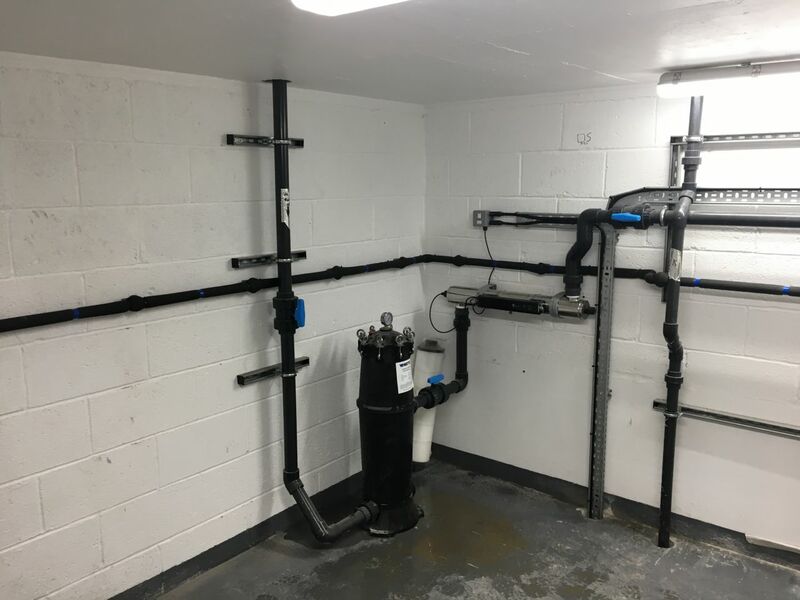 A recent project exemplified this problem: The client was able to store a significant amount of collected rainwater, but this meant that there was at risk of stagnation and concerns over the general water quality. 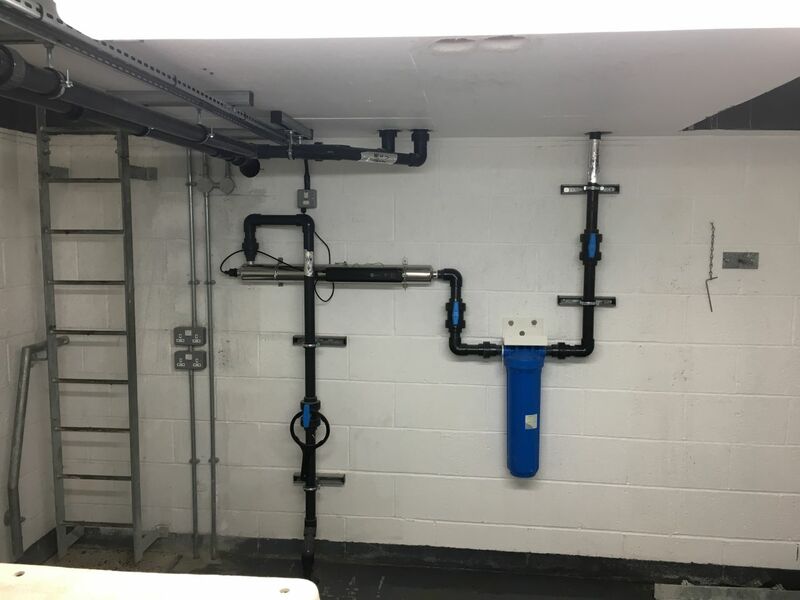 We assessed the system and, working with the client, identified the best ways to treat the water: improving its overall quality, removing sediment and providing bacterial protection to neutralise any bacteria that might be in the water. Post-works water quality analysis was undertaken to fully check that the quality was correct for the supply.